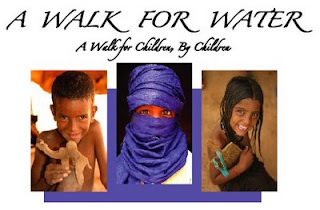 We thank our friends at the following local Maryland businesses who are donating products for A Walk For Water. Your contributions inspire our children and families to rally their friends and neighbors to sponsor their Walk. one step closer to having water. Signs by Tomorrow is donating our banner for the 2nd year! Honest Tea has provided drinks for kids and adults for three years straight! Mom's Organic Market is donating great organic snacks for the 3rd straight year! And welcome to our newest sponsor, Ize's Deli and Bagelry! We look forward to sharing your delicious bagels with all our Walkers! Thank You For Making A Different and Serving With Us!